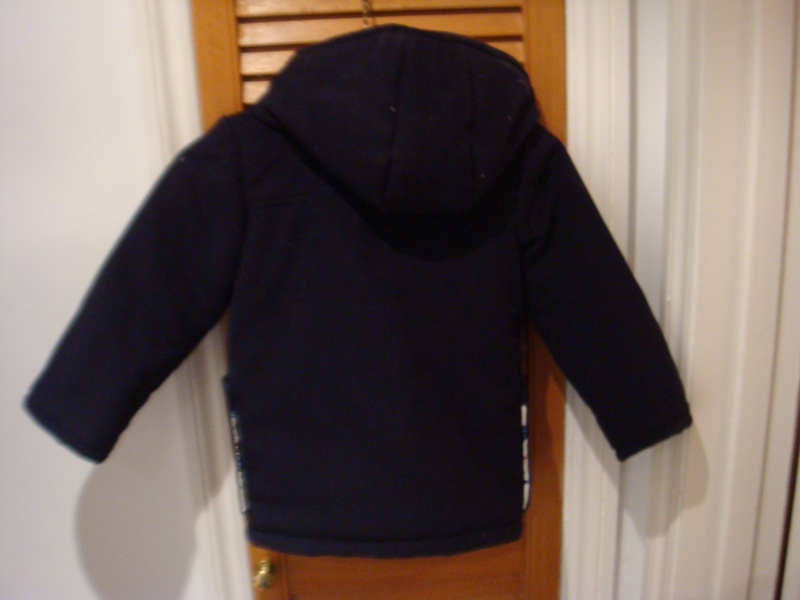 So to recap, I made this coat from a navy blue cashmere and wool blend. 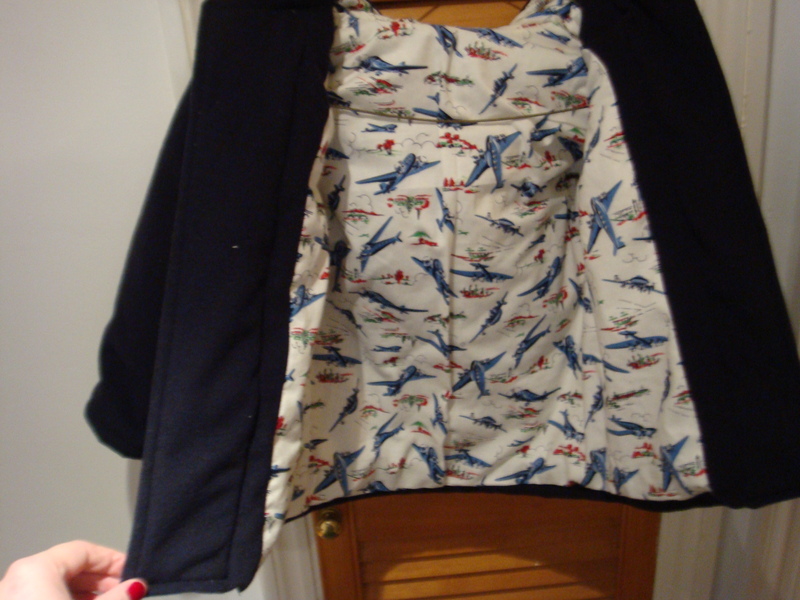 The lining is made from Alexander Henry quilting cotton and features aeroplanes. They are both from Fabrics Galore in London. 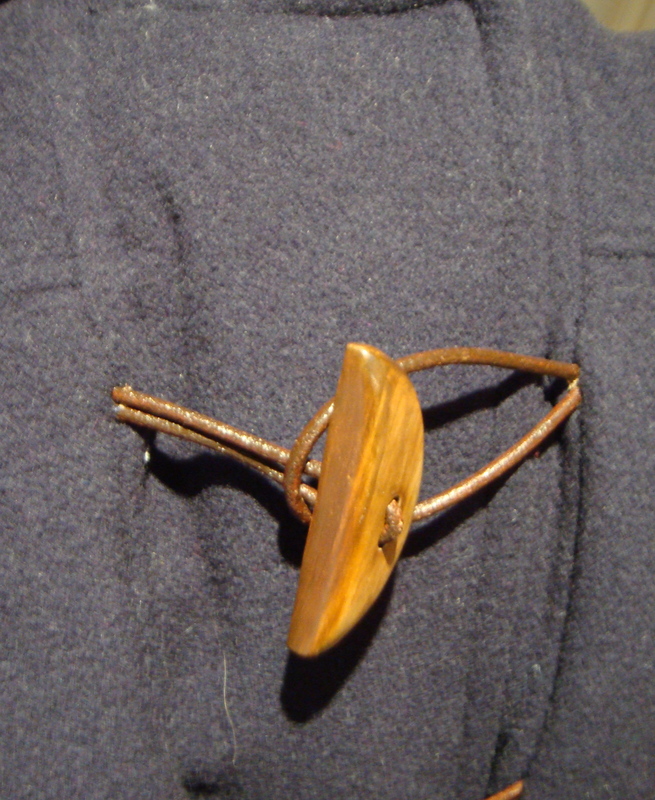 The toggles & leather trim are from Macculloch and Wallis. I have made it up in a size 3T, my nephew is 2 and is large for his age so fingers crossed! 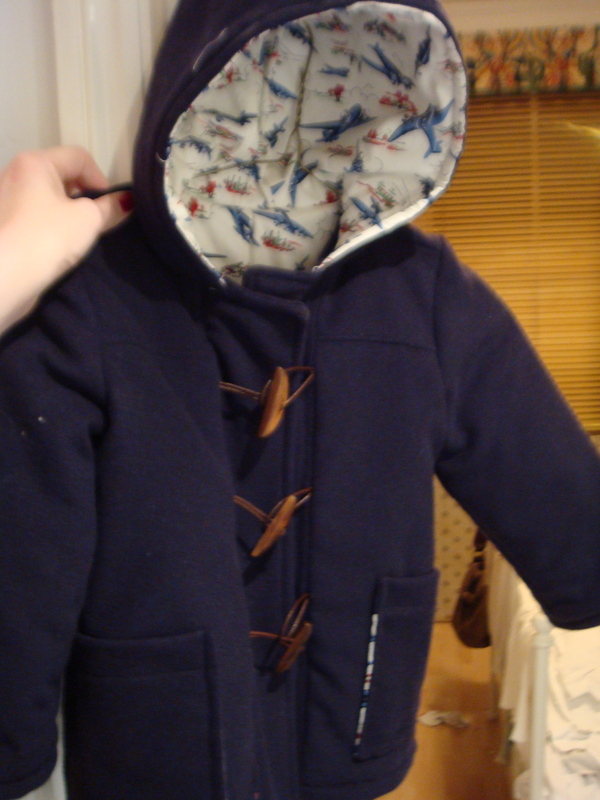 Constructing the coat is very straightforward. I have to say I am very impressed with the instructions because they are very clear and easy to understand. I think even beginners with a bit of patience could attempt this pattern. Any niggles? Well, yes a couple! This was the first time that I have sewn an underlining. I used 3M Thinsulate lining from Pennine Outdoors. I cut out the pattern pieces in the thinsulate – I chose to underline the main shell and not the lining. I then flatlined the fabric pieces – basting the underlining to the fabric pieces before constructing the garment. My main gripe? 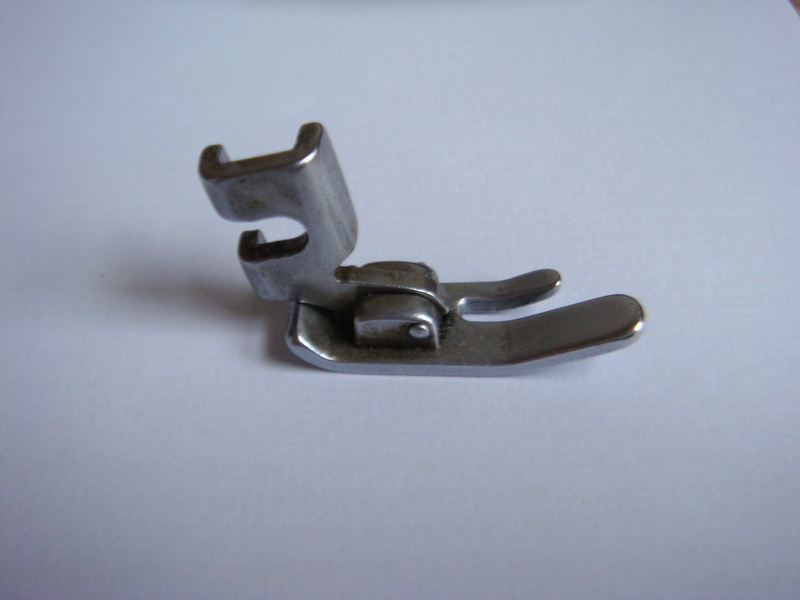 I was using my featherweight machine to begin with and the little prong on the sewing foot kept getting stuck in the thinsulate! Very irritating! 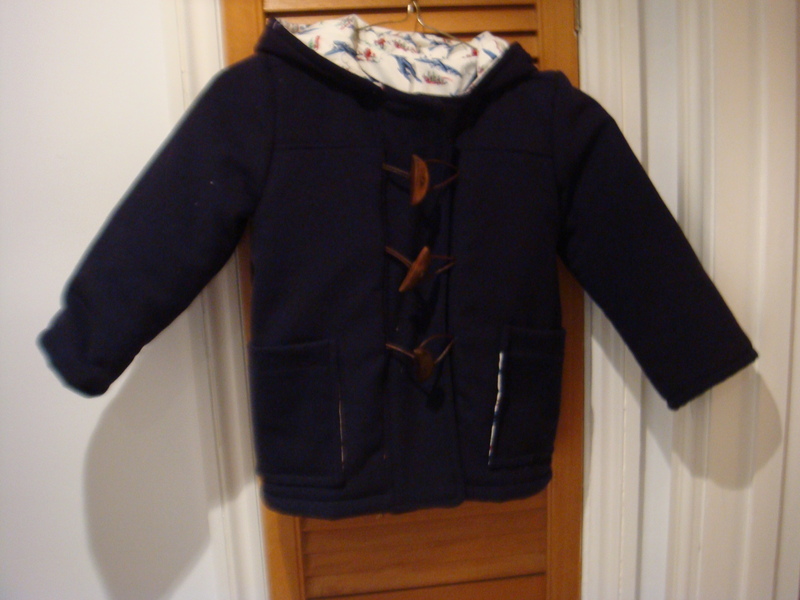 The other problem I came across was the topstitching of the coat. The instructions have you topstitch round the front panel of the coat in a square (this is after the shell and lining are joined together). But because my toggles got in the way when I was sewing it, I came away with quite a wonky stitch line. And also the bulk of the coat was to the right of the needle and not to the left – hence things got a bit messy! I did wonder if you shouldn’t just topstitch the front of the coat before it’s put all together so you can get a nice neat line? Or maybe I just need the practice! All in all though, I would definitely recommend this pattern, it is adorable! I’m not sure about the fit yet, so I can’t comment on that! That’s one lucky nephew! It’s gorgeous, and cashmere to boot! Well done. Gorgeous! Love the toggle buttons! I just checked their page and they still have them in stock! Let me know how your coat turns out! Thank you for such lovely comments ladies! It makes sewing so much more pleasurable when other people like your projects too! Thanks…I found Life Craft last night and while it claims to be in stock…. the moment you actually try to add it to your shopping basket it says “Out of Stock”…. :-( Never mind I should probably be worrying about reducing my pattern stash mountain.. not adding to it! Do you want to make an exchange with me ??? I have compagnie M, yeppar, Amelie Clothing, Heidi and finn and a lot of other patterns in pdf format….